Colorado is known for its gorgeous vistas, love of adventure, and the abundance of outdoor recreation. The Silverton area is known for housing some of the best skiing in the country. There are several world-class ski resorts nearby and in the surrounding area; if you’re thinking of visiting, picking up the sport, or purchasing a season pass, you won’t have much trouble finding the perfect mountain. Below, we have listed and detailed our four favorite ski resorts in the Silverton, CO area. Silverton Mountain Ski Area—Silverton offers a ski experience unlike any other. This ski are offers only advanced and expert terrain with just one double chairlift and nearly 1,900 acres of some of the steepest and deepest ungroomed powder in the state. This ski adventure is perfect for those experienced in backcountry terrain. Skiers and riders can choose between guided and private tours, and those seeking an extra thrill can access an additional 22,000 acres by helicopter. Guided skiing starts at $179 per person while private services begin at $425 per person. Kendall Mountain Recreation Area—This tiny, family-friendly ski area is perfect for both kids and beginners. With just a 240-foot vertical drop, four groomed trails, several gladed areas, and a small terrain park, this is an excellent place to begin your ski career. The Kendall Mountain Recreation Center also hosts and sponsors a variety of family-friendly events year-round. Telluride Ski Resort—Just over seventy miles away from downtown Silverton sits Telluride Ski Resort, one of the most popular ski destinations in the state. With 2,000 acres of lift-accessible terrain and more than 300 inches of snow annually, this world-renowned resort is right in Silverton’s backyard. 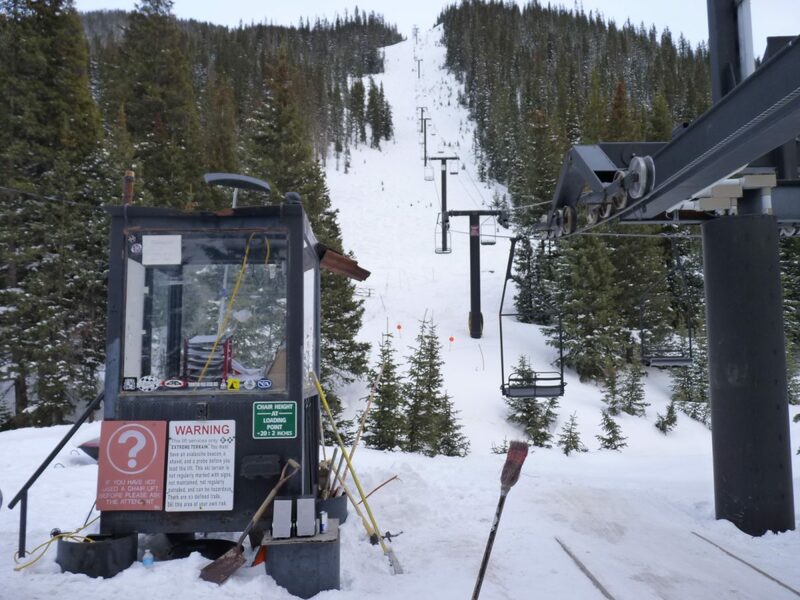 The mountain boasts 4,425 feet of vertical, 18 lifts, and 148 runs. Wolf Creek Ski Area—This local ski area is spans across a high alpine ridge and receives an annual snowfall of 430 inches—one of the highest in the entire state. Much of the terrain is accessible by chairlift, but there are several “hikers only” areas for those in search of advanced and expert terrain. Additionally, Wolf Creek offers some of the most affordable daily rates in the area. Adult full-day tickets are just $70, while 3-Day passes are just over $200. These resorts comprise some of the best skiing in the Centennial State. Most engage their local community as much as possible. If you live in the area or visit frequently, you may be eligible for a variety of discounts. Online deals are a great option for locals and out-of-towners alike. We recommend Colorado Ski Authority for lift ticket and ski rental discounts across the state. Whether you’re new to skiing, a Silverton native, or an adrenaline junkie, this part of the state has what you need to get the full Colorado experience. Our wonderful town has a unique history both visitors and locals can appreciate. 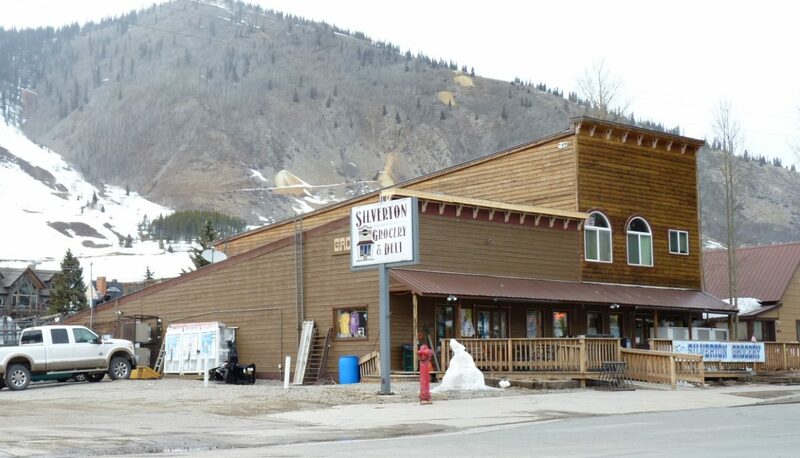 The only incorporated municipality in San Juan County, the town is a former silver mining camp—hence, Silverton. Here’s what you need to know. When Charles Baker’s group of prospectors found traces of gold in the San Juan Mountains, they knew they had stumbled upon something big. After being forced out by the Ute Tribe in 1861, they returned to the area, finding lode gold in the Little Giant vein at Arrastre Gulch. While the land had originally been awarded to the native tribes in the area, the Brunot Treaty of 13 September allowed the miners to stay in the area—in exchange for 4 million acres, the Southern Ute Indian Reservation received $25,000 per year. One year later, in August of 1873, George Howard and R.J. McNutt discovered the Sunnyside silver vein along Hurricane Peak. The Sunnyside Mine quickly sprung up to take advantage of the discovered riches, but was shut down after the 1929 stock market crash. Unfortunately, disaster struck in the late 1970s when water from Lake Emma collapsed a mine shaft. While no miners were present, the water traveled through the tunnels, shooting out a portal along Cement Creek with enough force to topple a 20-ton locomotive. The mine reopened two years later but was acquired by Echo Bay Mines, operating for another five years. Silverton has a rich and storied history. While the town no longer has active mining, historical and mineralogical tourism drive the town’s economy. Nearby Silverton Mountain also drives a large portion of tourists to the area; in fact, Silverton was named one of the best places for winter sports in the United States. Nestled between two rugged San Juan Mountain passes, Silverton continues to be one of America’s most beloved small towns. On June 1 of 2018, the 416 Fire blazed across the San Juan National Forest. The sixth-largest wildfire in Colorado history triggered thousands of evacuations and severely damaged the local economy. While no Silverton residents were evacuated, the fire came dangerously close to the town’s general area, striking Fruitland Mesa near Montrose and an area close to Cochetopa Hills. Allegedly, the fire was started by a speeding train. Theresa Blake Grave, a spokeswoman for nearby Durango’s Chamber of Commerce, said, “There has been a lot of controversy and rumors about whether the train started the fire.” In May, before this massive fire, the layered fire protection system worked to extinguish five spot fires that sparked to life along the rails of La Plata County, according to those who helped put out the flames. These spot fires and the devastation caused by the 416 Fire are causing locals to wonder if the train, which draws tourists from around the world, may begin to cause more harm than good. This wildfire took a devastating toll on Durango’s economy–$33 in June alone. The fire has caused health hazards in the area and turned mountain views into groves of charred stumps, which have already led to numerous cancelled real estate transactions. While the fire did not reach Silverton, these latter effects are likely felt throughout the community. 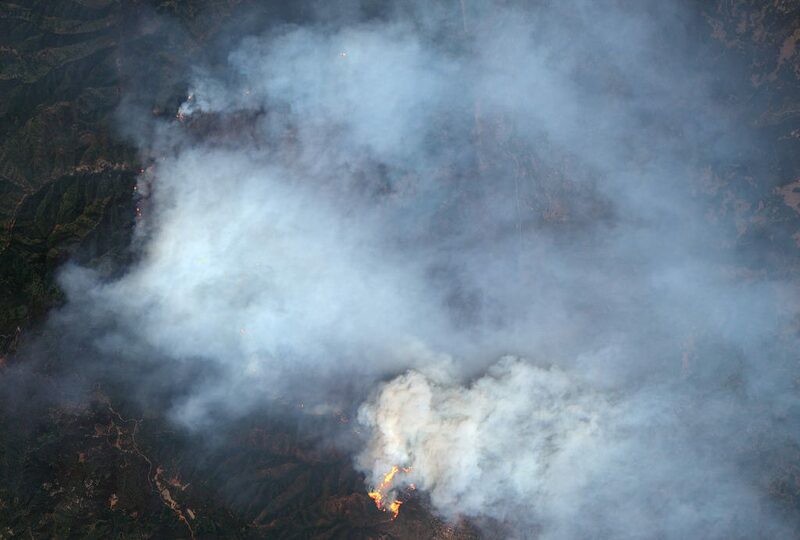 U.S. Forest Service law enforcement agents are currently investigating the cause of the fire; the probe could take anywhere from two weeks to two years. While the 416 Fire did not touch Silverton, fires in southern Colorado are becoming more frequent. As the climate shifts, it brings warmer, dryer weather to an area that has historically seen a large amount of precipitation. If the train did not start this massive fire, it was likely caused by a camper, a dropped cigarette, or a piece of glass magnified by the sun. These small, accidental actions can now cause crippling devastation in this area, and it is advised that Silverton residents take the necessary precautions to protect their homes against fires. 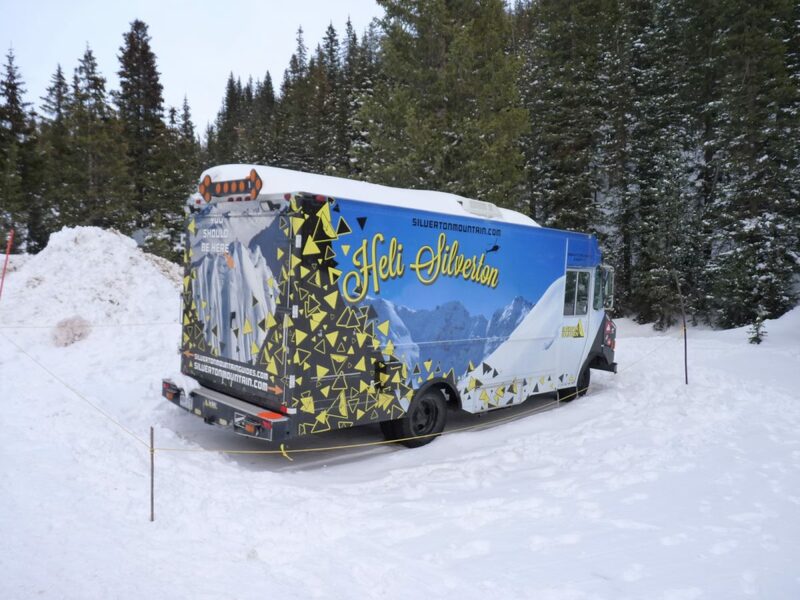 Silverton, CO is known for its diverse and plentiful recreational opportunities. If you’re in town for a limited time, you may have trouble deciding which adventures to pursue. Similarly, if you’re a local trying to show a visitor the “best of Silverton,” you might be trying to narrow down the best attractions. We’ve done the work for you. Below are five of our favorite Silverton experiences—beloved by both locals and visitors alike. Million Dollar Highway—This six-mile stretch of the San Juan Skyway offers incredible views of the area. The beautiful scenery, winding road, and diverse views of the mountains make this an excellent experience for lovers of the outdoors and those who prefer to soak in the sights from the comfort of a car. Ice Lakes Trail—This breathtaking hike takes adventurers up over 3,000 feet of vertical in just 3.5 miles. Featuring waterfalls, sweeping views, and steep switchbacks, this difficult but rewarding trek is worth the effort. Inexperienced hikers should do this one with a friend or group, while more experienced hikers can manage this 7-hour trip on their own. Island Lake—Located in San Juan National Forest, this alpine like sits at an elevation of roughly 12,400 feet. The four-mile trek up to the lake brings hikers past abandoned mines and equipment from the 1920s, as well as beautiful alpine wildflowers and jagged 13,000 footers. The lake itself is aqua-blue and often surrounded by snow year-round. Mayflower Gold Mill—The Silverton area is known historically for the abundance of gold and silver. In the late 19th century, thousands of settlers moved to the area hoping to capitalize on this natural resource. The Mayflower Mill, located two miles northeast of downtown Silverton, is one of the best-preserved mining artifacts in the country. A beautiful and easy hike brings visitors up to the mill itself. Silverton Mountain—If you’re looking for a unique adventure, Silverton Mountain should be the first item on your list. This is, essentially, backcountry skiing with the added accessibility of a chairlift. Often, backcountry skiing is only accessible with hikes and helicopters; Silverton Mountain provides an easier alternative through guided tours and unmatched snow conditions.